Bschool Director Interview - A management specialisation in Healthcare Analytics is a relatively new phenomenon, where the Healthcare Management is blended with the data analytics to bring a streamlined structure in organisations. Krupanidhi School of Management has launched PGDM in Healthcare Analytics in collaboration with MindShare US Learning Centre. 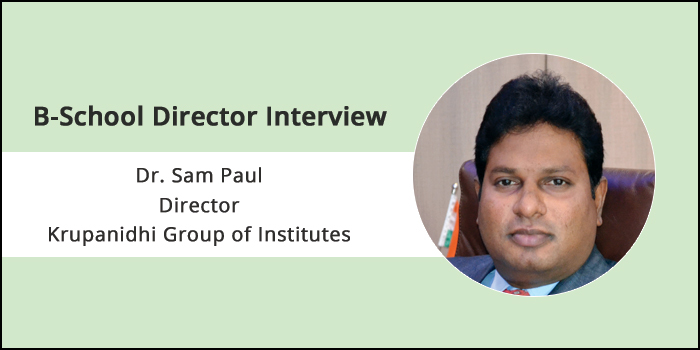 In this interview with Careers360, Dr. Sam Paul, Director, Krupanidhi Group of Institutes talks about the scope, opportunities and challenges of the sector. Dr. Paul also speaks at length about the curriculum and pedagogy of the programme and how the healthcare industry and management academia can maintain a symbiotic relation. Read on the interview for more insights on PGDM in Healthcare Analytics at Krupanidhi School of Management. 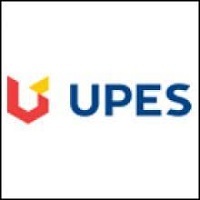 Careers360: What is the USP of the PGDM in Healthcare Analytics programme? Dr. Paul: Healthcare Analytics PGDM covers various domain areas in life sciences – horizontals such as Pharmaceutical, Hospitals, Biotech, Medical Device companies, Distributors, Insurance, Government agencies and verticals such as Manufacturing, Supply Chain Logistics, CRM, HR, Sales and Marketing. This PGDM programme has combination of management, analytics and emergent technology courses focused on the Healthcare and Life Science industries. Over the last decade, all life science companies have accumulated data, but have not been able to gain deep insights from the data. It is a three trillion dollar industry in US alone and it is expected to have a great transformation. This PGDM programme covers commercial and scientific analytics. Students will learn the latest technology in addition to the international management requirements and hence it going to be a valuable skill-set and knowledge to gain for students. Careers360: There are various B-schools offering MBA/PGDM in Healthcare Management. How is the Healthcare Analytics programme different compared to that? Dr. Paul: Healthcare Management is a course to manage the hospitals and healthcare areas. This PGDM programme covers not only the managerial leadership but also commercial and scientific analytics for various healthcare and life science organisations. 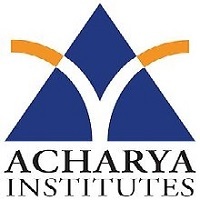 Students will learn techniques in big data, technology trends, Prescriptive and Predictive analytics, data clustering, real world evidence that are useful for global healthcare market. Careers360: Who is the programme suited for? Are you looking for applicants from a particular education or work experience background? Dr. Paul: The programme is suitable for students from any domain areas who have completed their graduation. In particular, if they are interested to be in the healthcare sector and wants to bring about a transformation in the healthcare sector, then this would be the right programme. It is always an added advantage for people with work experience. Careers360: What is the programme intake and fee? Dr. Paul: The total in take for this particular programme will be 40 seats. The total fee is Rs. 9.75 lakh, including 15 days industrial visit to US. Careers360: What is the admission procedure for the PGDM Healthcare Analytics programme? Dr. Paul: Applicants have to appear for one of the MBA entrance exams ‘All India Aptitude/Entrance Test (as approved and Directed by Ministry of HRD, Govt. of India)’ including CAT, XAT, MAT, CMAT and GMAT. Along with that, they have to submit the photocopy of Score Card along with filled Application Form. Shortlisted candidates will have to appear for Group Discussion & Personal Interview rounds, along with verification of all the original documents and Experience Certificate, if any. Careers360: What is the role of Data Analytics in Healthcare? Dr. Paul: Data Analytics plays major role in Healthcare management sector. Not only does it help in the design/development of comprehensive data processing, reporting and analytical solutions, but also offer proficiency in the application of a broad array of statistical methods such as description and inferential statistics, multivariate regression, clustering, predictive modeling, forecasting, data mining, and optimisation algorithms. Apart from these, the roles include supporting operational and regulatory objectives with relevant analytics. Analysing and interpreting various forms of utilisation and healthcare data to identify potential areas for cost improvements via products, services and other market trends including ROI projections are other factors. Participating in customer meetings as subject matter expert to present findings and recommendations to customers, quantifying value generated by historically implemented solutions, negotiating complex situations and sensitive situations are some other major roles. Careers360: Please share the scope and opportunities in this sector. Dr. Paul: This course prepares the students to become expert in the management, administration and analytics. Opportunities are abundance across all verticals such as retail, manufacturing, insurance, life sciences, pharma, hospitals such as Apollo Hospitals, Columbia Asia, Pharma companies Biocon, Pfizer, Insurance companies such as HDFC, International consulting companies such as IBM, Accenture, Wipro, TCS, Infosys, Tech companies such as Microsoft, Apple, Google, Amazon and various government agencies. Careers360: Please share some details about the curriculum. 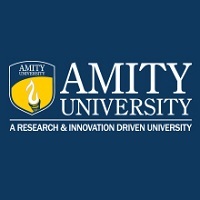 Horizontal courses – Digital Marketing, Project Management, Business Planning, Quantitative Techniques, Operations Research, Entrepreneurship, Ecommerce, Cyber Security, Clinical Trail and Genomics, Statistical Modeling. Technology courses – Python, Datawearhousing, Data Wangling, Data Visualization, Health IT, Data Clustering, Technology trends and Innovation, Data Story Telling, Machine Learning, Deep Learning, Usage of Microsoft, SQL, IBM, Oracle tools such as Excel, SQL, Tableau, SAS. Careers360: How can the academia and industry seek benefit from each other? Dr. Paul: The whole concept works on the Principle of Quid Pro quo. This entails increased and flexible partnerships between researchers from across academia, industry and will facilitate benefits across all sectors and thus enable a new model of innovation to emerge. Investigators within the academic sector will gain through invaluable access to research resources and additional guidance in development and clinical testing. Industry will gain through greater availability of early stage research allowing expansion of the number of targets, and through the availability of structured and unstructured data to some extent. This data that can be used to improve the safety of medicines and increase patient recruitment. The academia will gain from earlier access to new and better ways of preventing, diagnosing and treating disease. Developing a culture of continuous improvement and collaboration through research will build the profile and reputation of the whole Healthcare Industry, helping to attract and retain high calibre of Human Resources. Careers360: Are there any tie-ups with companies in healthcare sectors? If yes, please mention the company names and how they contribute to the curriculum or placement process? Dr. Paul: Yes, there are tie ups with companies like Apollo, Columbia Asia, Pfizer, Lupin, etc,. However, the broader framework will be through having an initial internship project and later translating into placements. Careers360: Who are the top recruiters of the programme? What are the roles or profiles offered? Also, mention the average salary offered to the 2018 batch students. Dr. Paul: All international and domestic consulting, outsourcing companies such IBM, Accenture, Deloitte, most of the biotech and pharma companies such as Biocon, Pfizer, J&J, medical equipment companies, hospitals such as Columbia Asia, and tech companies such as Samsung, LG, Huawei, Google, Apple, Microsoft, Amazon, insurance companies such as HDFC, United Healthcare, government agencies such as CDC, NHC in Europe, US. Expected average salary is between Rs. 6 lakhs to Rs. 8 lakhs per annum. Careers360: What are the challenges of the sector and how do you plan to overcome it? Dr. Paul: This PGDM has unique blend of management, business analytics, technology and consulting courses. In addition, a student will do a project from day one for the next 6 trimesters with an internship program. We are confident that a student will obtain a successful career. The challenge is that the students are expected to work hard like the students in reputed international institutions. To counter this challenge, we have created a system of reputed coaches, professors, mentors and industry experts to guide the students through their education journey. Your Krupanidhi School of Management, Bangalore brochure has been successfully mailed to your registered email id .